The Human Rights Arts and Film Festival is heading to Canberra from the 28 – 30th May and as a sponsor, lip has three double passes to giveaway to each screening at the National Film & Sound Archive! Simply email courtney@lipmag.com with the name of the film you would like to see! Only winners will be notified. fight to stay above water as the lowest lying nation in the world. stigma, racism and poverty with courage and a child’s spirit. 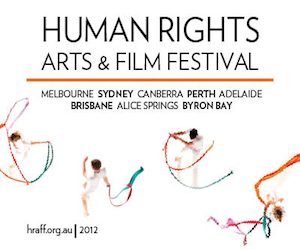 This entry was posted in Film and tagged australia, festival, giveaway, hraff, human right arts film festival. Bookmark the permalink.